Why would a trucker need a USB adapter in his or her truck? In the 21st century, more and more professional truck drivers have cell phones and Smartphones that need to be kept charged. Is this just a luxury? Having a cell phone is not a luxury for lots of today's professional truck drivers. On this page we will give an overview and some specifics regarding adapting a power outlet for a USB plug. Disclaimer: The information on this page is geared toward electrical systems in the USA. Other countries may have different electrical systems. Please exercise due diligence before attempting any adaptation of power sources. This page may contain links to products on Amazon.com, with which we have an affiliate relationship. When we purchased our Samsung Stratosphere Smartphones, each came with its own AC power charger. We purchased a separate car charger (for charging via DC power). Over time, the DC charger and one of the AC chargers died (or otherwise stopped working). So, we needed to replace them. Show here are photos of two chargers (courtesy of eBay listings), both of which have a charger cord with a USB plug and detachable AC adapter. The only difference appears to be the configuration of the adapter. Will "any" AC-to-USB adapter work to allow charging through a cord with a USB plug from an AC power source? Check all of the specifications first. Besides phone charger cords, a number of GPS receivers are also configured with a USB plug or end, too. Until commercial motor vehicles have power panels like this one (image) or this one (image and Instructable), truckers will have to provide their own adapters to charge electronic devices that come with cords wired with USB plugs. DC power to both AC plug-in and USB plug-in (as inverters). The most common type of power outlet we've seen in trucks is DC (direct current). We previously covered inverting DC power to AC power with an appropriately sized inverter. Models of the two types of inverters we have used in our trucks both came with USB ports. Highlighted with a lime green box, a USB port is visible on the power panel of a PowerDrive RPPD1500 1500-Watt DC to AC Power Inverter with USB Port and 3 AC Outlets . Depending on where this device is installed in one's truck, a USB extension cord may be required to keep the device within easy reach of the driver. Also highlighted with a lime green box is the USB port on a 175-watt Roadpro DC 12-volt outlet inverter. On the same panel is an AC outlet, the one that we usually used in our trucks. - cell phone via charger without the AC adapter on the end. 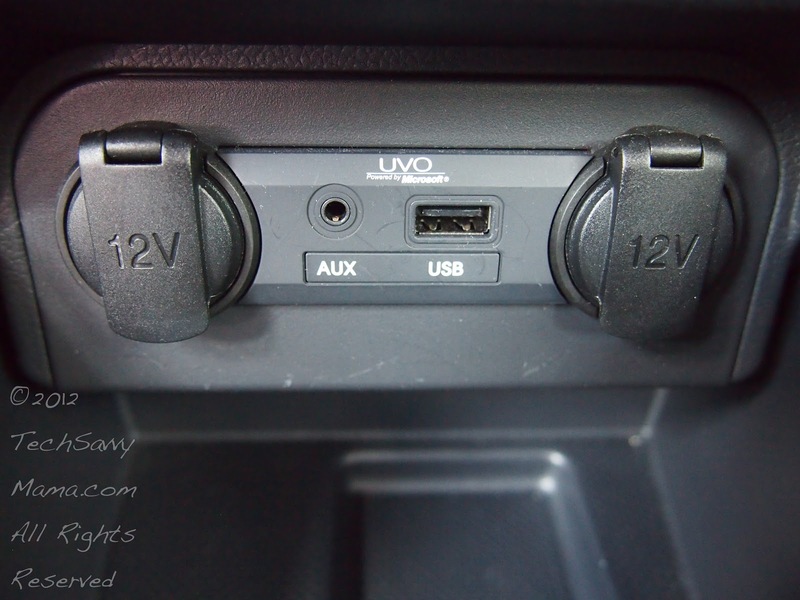 What if you don't have an inverter with a USB port like those shown above? What types of adapters are available at truck stops or online? This USB adapter operates off DC power. This adapter was on sale for $7.99 at the truck stop. This USB adaptor operates off AC power. Money saving tip: Although USB plugs and ports may be standard, adapters may vary. If one is inverting power from a DC source using an adapter, be sure to note whether or not the device includes a fuse that can be replaced. Check for a warranty, if one is available. If adapters don't even come in packages, chances are good that they won't have a warranty. Does this say something about its quality? Is there any disclaimer associated with use of your USB adapter? What happens if you encounter a power surge that affects your electronics? Your use of an adapter means that you will be responsible if something happens to the device you plug into it when it is plugged into your power source. If your cell phone costs $300, should you use a "cheapo" adapter to power it? Or is the cost of the adapter a moot point? If you have the option to do so, research different adapters to see which ones are truly quality products that will last. As we describe on our goal setting page, a more expensive but better quality product may wind up being a better value in the long run. Are you planning to buy your product from a truck stop? Note the return policy. Keep your receipt. If you need to return it, do so before the return deadline. Return from USB Adapter Tips for Use in a Truck to our Trucker Services page or our Truck Drivers Money Saving Tips home page.